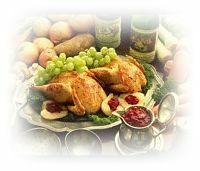 Welcome to UpNorthFood.com, also known as UpNorthDining.com. We're your #1 source for dining in the beautiful Northwoods of Wisconsin and the Western Upper Peninsula of Michigan. You'll find only the best in Restaurants, Eateries, Bistros, Bakeries, Beaneries, Cafes and Pizza joints. Why the best? Because we only allow the best to be on our site. Unlike other organizations, we don't have to allow just anyone to be listed, we can pick and choose. And we do! If you have any complaints about any dining venue you have eaten at that is listed on our site, please click here to e-mail us your complaint right now. Of course, we'd love to hear about any good experience you've had also! 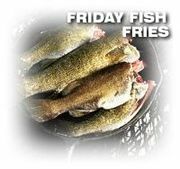 Check out a Northwoods tradition, our Friday Night Fish Fry List. The Northwoods is famous for our fish fries and we have some of the best ones listed here. You have to partake of one of these before you head home! Our Specials page is full of links to area dining establishments that have nightly, theme, seasonal and other limited-time Specials. Check them out and save some money today! Our UpNorthFood Recipe pages are stuffed with recipes from the people of the Northwoods. From fish to breakfasts, you'll find something 'yummy' here. 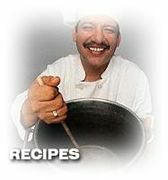 You can also submit one of your own favorite recipes if you'd like! Take your time and visit the web sites of the best the Northwoods has to offer in dining. Please let us know if there is anything else we can do to help make your trip to the Northwoods perfect. Click here to contact UpNorth Info to advertise your Dining Business on these pages.